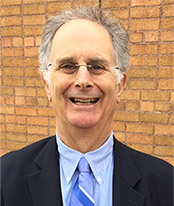 Doug Stone has been the WPI Program Director since 2010. He has been a host family and has worked closely with the program for many years when the program was based at Macalester College, where he was College Relations Director. Stone has worked in journalism and communications in the Twin Cities for four decades. He was an award-winning reporter at the Minneapolis Tribune from 1971-1981 covering everything from police to general assignment to legal affairs. He worked at WCCO-TV from 1981-1990 where he was assignment editor and then assistant news director and supervised the newsroom’s political coverage. He was the late Sen. Paul Wellstone’s first Washington, D.C., press secretary from 1991-1993. Stone was director of College Relations at Macalester College from 1993-2007, where he also taught a journalism course every year. In addition to working for WPI, Stone is currently a communications and media consultant working mostly with non-profits and foundations in the education and health fields. He has been an active volunteer with the Heart Association and the Juvenile Diabetes Research Foundation as well as with his children’s school PTA. A 1971 honors graduate of the University of Minnesota, Stone also spent a year at Stanford University on a journalism fellowship sponsored by the National Endowment for the Humanities. As Program Director, Stone helps plan and coordinate the travels and visits of the WPI fellows during their nine-week stay in the U.S. Working with Executive Director David McDonald, he attempts to promote the high journalistic standards of the WPI and to immerse the fellows in the changing face of journalism as well as the culture, politics and free press values of the U.S. He also travels with the fellows around the country for one to two weeks every year.